When coming up with my list for the most overpriced tech products, I had to set some ground rules. Simply slapping some diamonds and platinum on an iPad wouldn‘t count – anyone could do that. The product had to be designed by the company selling it and the product price needed to far exceed the intrinsic value of the materials. I also selected products where the overpricing is made even more obvious by having much cheaper options available that are just as functional (or in some cases more so). Vertu, a division of Nokia, has built a brand around super-luxury cell phones for the Hollywood glitterati and Russian oligarchs of the world. 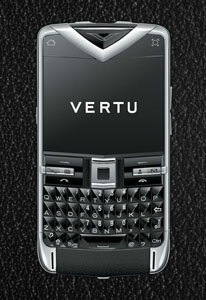 The Vertu Constellation Quest is a beautiful phone, with hand-tooled leather, sapphire keys and other luxury features. But at the end of the day, it’s still just a phone, and not a very advanced one, either. Running Nokia’s dated Symbian operating system and with a tiny 2.5” display, it’s decidedly behind the times. For $8,299 you should expect more, and you get more with practically any iPhone or Android phone on the market – most of which are under $600, even without a contract. Bang & Olufsen has always been a premium-priced brand, but they’ve outdone themselves with the BeoVision 4 85-inch plasma TV. 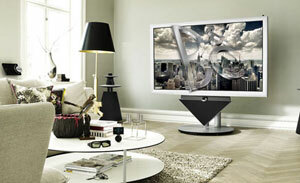 With its whopping $85,000 price tag, the BeoVision 4 clocks in at mind-blowing $1,000 per inch. Sure it has some cool features, like a screen that automatically lowers when you’re not watching it, but who really needs that? Instead, pick up Sharp’s new Aquos 80” LED LCD for a mere $4,500. What happens when you take an already pricey $7,000 Leica M9 camera and put it the hands of automobile designer Walter de'Silva from Audi? You get the even more pricey $28,000 M9 Titanium version made from titanium, sapphire crystal and leather typically used on Audi cars. 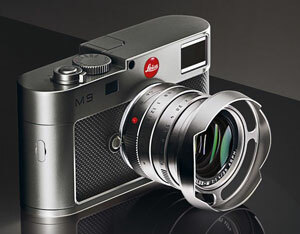 While I appreciate that the “Leica logo has been restyled and is elaborately hand-engraved in pure resin, inlaid with white enamel, sealed with clear varnish and then polished and positioned centrally - directly above the lens“, I think I’ll save 21 grand and go with the base model. There is no shortage of overpriced HDMI cables on the market, but AudioQuest takes the cake with its Diamond line, charging a jaw-dropping $1,495 for a 6-foot cable. What do you get for that price? A lot of marketing hooey, mostly, about solid silver connectors and proprietary insulation. Digital signals aren’t prone to interference over short lengths, and there is scant evidence that higher quality cables make any difference. Instead, get a 6-foot cable from highly-regarded Monoprice.com for $3.50. How can the Eidos Reference Blue Blu-ray player possibly cost as much as a house? According to Goldmund, ”It is because our specialists made absolutely no compromise between the quality and refinement of the finish, the exceptional mechanical construction and the cost.” For those of us that have to make compromises, we will likely be better off with the Samsung BD-D6500 (well under $200 retail), which offers many useful features not available in the Eidos Reference Blue, such as 3D output, built-in Wi-Fi and hundreds of apps. And don’t worry about compromising the picture; Avatar is going to look just as good on the Samsung player, and you’ll have enough money left over to buy a house to watch it in. With all the high-priced gizmos out there, how does a $.20 text message make my #1 spot? Let’s do a little math. AT&T charges $.20 per text message. 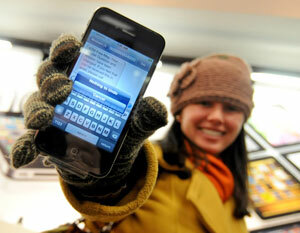 A single text message is limited to 160 characters, which is at most 160 bytes in size. So, 1GB of bandwidth can handle about 6.25 million text messages. Multiply 6.25 million by $.20 and you find that the cell phone companies are charging $1.25 million per GB of data for text messaging. If you’re a heavy texter, texting plans from the carriers can drive cost per gigabyte down into the tens-of-thousands of dollars. Or use that old standby, email, instead. Without benefit of an expert opinion or expert research, I would bet you that these folks alluding to membership in the “99%” or whatever you want to call it) are just making the rich get richer. Irony cascades. Yeah I think it’s a very real threat that Occupy could be usurped by other organization (or even hired shills using Delphi technique during General Assemble). That’s why it’s always important to source your information and sometimes dig until you find the truth for yourself. Can Occupy help the rich get richer? It doesn’t seem so on the surface, but if the 1% think we’re enough of a threat they will find ways to dismantle it or refocus the efforts. Keep your fingers crossed that Occupy is vigilant in being able maintain focus on the original message. It doesn’t surprise me that in today’s economy there are products out there catering to the rich. Many people are unemployed or underemployed…and why bother marketing to them. No there is no marketing to low and middle class. We just get taken advantage of by these corporations buy gouging us for texts. That’s the way it works. Which is why I believe in what Occupy is doing. Breaking the hold that corporation have over us and perhaps creating a truly free market seems like worthwhile endeavor. Sorry, but your comments are pure nonsense. Did you not read the parts of Suzanne’s article that mentioned the low-cost alternatives to these ridiculously over-priced products? For every one of these high-priced products there are 20 priced and marketed for the rest of us. I’ve noticed in news reports of the Occupy protesters that some of them are carrying around these very products, such as laptops, iphones, etc. It’s govt with its burdensome, over-bearing regulations, high taxes and wasteful spending in the billions of dollars every year that have a hold on us, not corporations. If you don’t like AT&T, there is Sprint, Verizon, T-Mobile and others you can go to and buy their products instead. Occupy has no coherent message or solutions to what they see as “corporate greed”. The government is bought and paid for by corporations and the wealthy. The Supreme Court ruling on Citizens United mans that money=free-speech. Corporations donate to both political parties to make sure that our elected “representatives” represent the corporations, not real people. And do not forget that there is a revolving door between government “representatives” and corporations. Or maybe you didn’t know that? My comments are only nonsense to people who are ignorant or shills for the 1%. Bose products should be included in this list. Numerous companies make superior products at a significantly lower price - because Bose spends on advertising about 7x what they spend on production. Verizon charges $.20 per text? I have Verizon cell plan and it includes unlimited talk and text with a paid data plan. The whole plan is expensive, I will agree, but texting doesn’t add to the cost. (The base plan is costly and every added phone lowers the average per user.) Was this a re-run old article? I just saw that this article was originally posted on Nov 2011. Yes, the texting costs at Verizon (and I think, t-Mobile, too) have changed since the writing of this article. Verizon no longer has separate texting plans, but AT&T still does (at $.20 per text). And Verizon is still finding other ways to charge excessive fees. For instance, Verizon charges you $40 more a month for a share everything plan of calls and text with 4GB of data than a data only plan of 4GB. And then, on top of that, you STILL need to pay an ADDITIONAL $40 fee for each smartphone on the plan. And, if you want to hook up a tablet to use the 4GB of data you’ve already paid for, Verizon will charge you an additional $10. In essence, Verizon is charging you $10 and you’re getting nothing additional in return. So you’re right, we may no longer be able to include Verizon’s texting as the most overpriced product (thanks to their current bundling practices), but they’ve given us a couple of new options to add to the list! First, let me set a few things straight. We are professionals. Our editor, Suzanne Kantra, has been in the consumer tech field for more than 20 years and was previously the senior tech editor for Popular Science Magazine. Our writers are among the more respected journalists in the field. 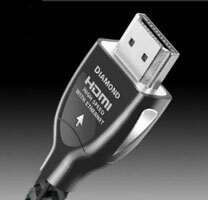 We’ve spoken to pretty much every major AV manufacturer over the years, and even the “premium” cable manufacturers will admit that, for shorter distances, any HDMI cable will work as well as any other. It’s only above 12ft that cable quality starts to matter and, even then, there are inexpensive manufacturers whose cables will work every bit as well as an expensive HDMI cable. We didn’t test this directly, but our friends at HDGuru.com did (http://hdguru.com/all-hdmi-cables-are-the-same-or-are-they-full-test/). Geoff Morrison, the author, also covers AV tech for CNET. HD Guru’s results show that a 50 ft Monoprice HDMI cable (a very long distance) worked just as well as a Monster cable at 8x the price. And, unlike analog, there is no “better” - either a digital HDMI cable works and gives you a perfect picture or it doesn’t. (BTW, this is essentially the same reason the Blu-ray player above is so absurd - with digital technology, any decent Blu-ray player will give you exactly the same quality as the Goldmund). Geoff didn’t test shorter cables because there is no point - it’s widely accepted in the AV industry that expensive cables offer no advantage over short distances. So for HDMI (or any digital cable) over short distances (12ft or less), go with Monoprice, Amazon or another generic. Longer distances, try Monoprice first. If it works flawlessly, as it did in the testing, you’re all set. 1- A 50 foot HDMI was never a topic. In fact, Audioquest does not claim high speed on anything over 10 Meters, even Diamond series. It’s just too long for 1080p, 3D, etc. in that case I would use an Intelix wireless system or similar. 2- Have any of your professional sources done a comparison test with a decent source to hear audio quality difference? Even with a Cinnamon grade cable? 3- The brand is named AudioQuest for a reason, I am not claiming an earth shattering better picture will result. 4- I do not work for AudioQuest, but I know they see things as “All cables are bad, but ours are less bad”. Their motto is ” Do No Harm”. I just see this as a comparison to say a Ford car, of which I own and love, and a Ferrari. Both go from A to B, but everyone knows they are quite different. Audio through HDMI is entirely digital, also, with built in error correction. Any HDMI cable should work as flawlessly for audio as it does for video. And if you doesn’t for some reason, you’ll notice problems with audio dropout. I can’t comment on Audioquest’s marketing strategy (well I can, but I won’t). However, amid all the spin, I failed to find any evidence from Audioquest supporting their claims of better HDMI performance. But here’s the better comparison: a standard HDMI cable is a Ford that can get four people from point A to point B flawlessly at 60MPH. An Audioquest HDMI cable is a Ford, covered in gold with diamond studded wheels, that can get four people from point A to point B flawlessly at 60MPH. 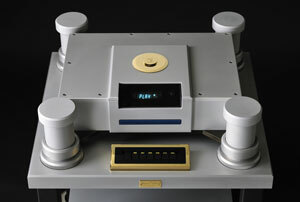 However, the Audioquest Ford costs 350x as much. And since that cable sits BEHIND your AV equipment where no one will see it, even the gold and diamonds serve no purpose. You can read more about the science of HDMI cables here, along with a specific take on why audio quality over HDMI is as equally a non-issue as video quality: http://news.cnet.com/8301-17938_105-20056502-1/why-all-hdmi-cables-are-the-same/.